Roseau, Dominica – Thursday, January 9, 2014 – Mas Domnik 2014 got underway, with an official launch at the Krazy Kokonuts on Wednesday, January 8, 2014. This year, the most original carnival in the Caribbean has been rebranded 'Mas Domnik the Real Mas' under the theme "Nou Konnèt Viv" (We Know How to Live). 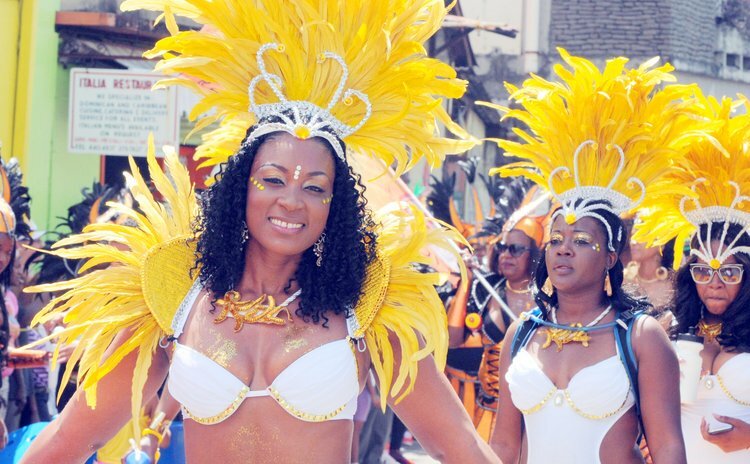 Ian Douglas, Minister for Tourism, described Dominica's carnival as "one of the most unique, multi-faceted and truly authentic carnivals in the world". Minister Douglas commended the organizers of carnival activities and encouraged all to play their part to make the events successful. He believes that Mas Dominik must be portrayed as being distinctly Dominican. "As we are all aware carnival is more than a cultural celebration. It has emerged as a global industry, creating numerous opportunities for the creators and major players. It creates important linkages with tourism and other key sectors and it helps to build national pride and social and cultural consciousness. But to find greater benefits we need to continuously work on stimulating new ideas, help in shaping sector wide approaches that will ensure that we find success and bring greater benefits to all the key stakeholders. It means that we need as a sector to take ownership and to be fully responsible for making things happen – government, private sector, band leaders, calypsonians, masqueraders and others."